Review | Kia wants more. The Korean car maker is already successful at offering products with excellent value for money. 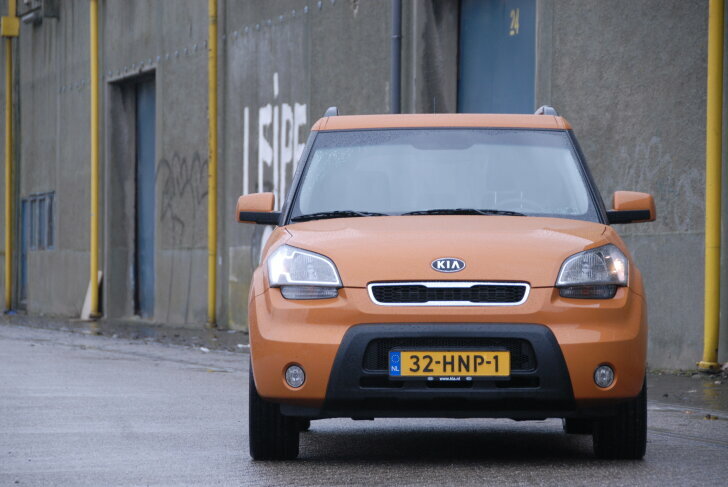 But Kia wants to sell vehicles that aren't only chosen rationally, but also with emotion. 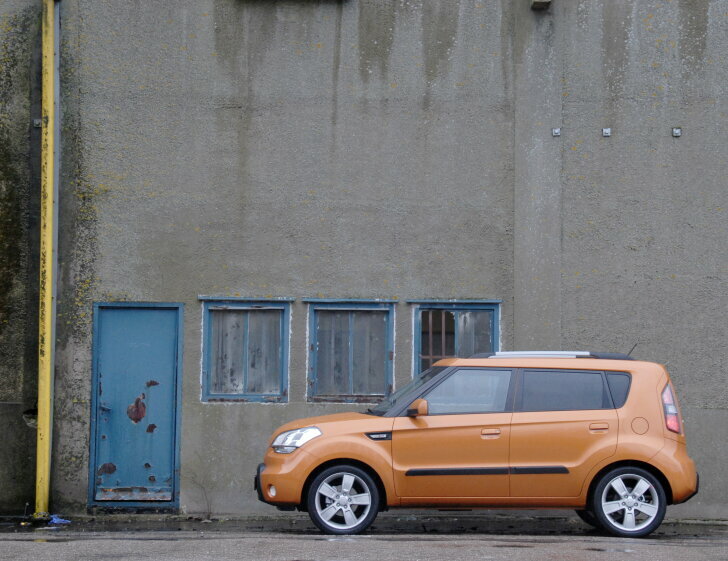 The Kia Soul is a hip new city slicker that can be completely customised by the owner, while the price is still low. Is the Soul the car Kia drivers have been searching for? The designers at Kia must have been so happy. Usually their assignment is to built a decent looking car that doesn't cost much to build. But this time they were free to design the ultimate town car, the more radical the better. Of course the production vehicle driven here isn't as extravagant as the first concept cars, but still the Soul is a real eye catcher. The Soul looks like a cross between a roomy family car and a modest off roader. All shapes are strong and accentuated by black outlines. Panels aren't aligned flush, but instead have bulging edges which make the car look solid. The head lights and grille have been placed high up in the front, to give the Soul a firm presence. More important than the basic design is the fact that this car can be customised in many ways. Panels and the outlines of those panels can be executed in a contrasting colour. Kia also offers packages with stickers ("tattoos"), rims, spoilers and bumpers to turn the Soul into a true custom car. The cabin can also be altered to suit every individuals taste. The "X-ecutive"-version driven here is already special without those options. For example the "Soul Shining"-upholstery contains fluorecent Soul-logos that light up in the dark. The loudspeakers have illuminating rings around them that light up in the rhythm of the music (this can be turned off) or provide a special mood by glowing red like a fire place. Despite all this foolery, the functionality has not been forgotten. Even the base level Soul is fitted with traction control, an electronic stability programme (ESP), central locking, power windows (front and back) and a radio with six speakers and a USB-connector. A very special option is the parking camera, with a display that is hidden inside the rear view mirror. This display cannot be seen until the reverse gear is engaged. Regretably a trip computer or economy-meter is not standard and is not on the options list. Only when it comes to space Kia seems to have chosen the easy way out. The Soul is a little larger than most competitors and is therefore automatically more spacious. For example: a 1 meter 90 tall driver has ample head and legroom. Behind that tall drive there's still enough room for a bloke the same size! Besides an extra storage space beneath the luggage floor, Kia did not fit any smart, space saving devices. It feels like a little more effort would have resulted in a lot more space. The ascending line below the side windows gives the Soul a dynamic shape, but the downside is that small children have a hard time looking out of those windows. The small A-beams (the pillar between the wind shield and first side window) are remarkably small: this adds to the spacious feeling and provide a clear view on traffic. Especially for a city car it is important that pedestrians or bicycles are not hidden from view by a wide A-beam. The Soul can be fitted with a petrol and a diesel engine, both measuring 1.6 litres. The test vehicle is fitted with the gasoline engine (from the Kia Cee'd), which powers the front wheels. Despite its rugged appearance this is not a four wheel drive car. Especially in city traffic the Soul is remarkably quiet. The engine delivers a lot of power at low revs and is therefore very easy and relaxing to drive. As if it is a diesel engine, the power unit performs well between 1,500 and 2,000 rpm (despite the figures in the brochure, which suggest otherwise)! On the highway the Soul has a very different character. Above 80 km/h the spritely performance is gone. Acceleration from 80 to 120 km/u should not be measured with a stopwatch, but rather with a calendar. Even when shifting down from fifth to third (!) gear, performance on the motor way is poor. Also the engine that was once so quiet, now makes a disturbing, droning sound. For a car in this price range both performance and engine noise are acceptable, but other car do better. The Soul shares its platform and suspension with the Hyundai i20. The handling both in town and on the free way is fine. Despite its height, the Soul isn't sensitive to side wind. The electrical power steering gives enough feedback and is more economical than traditional mechanical power steering. Kia found a good compromise between comfort and driving fun. The Soul is dynamic town, while being comfortable on long distances. 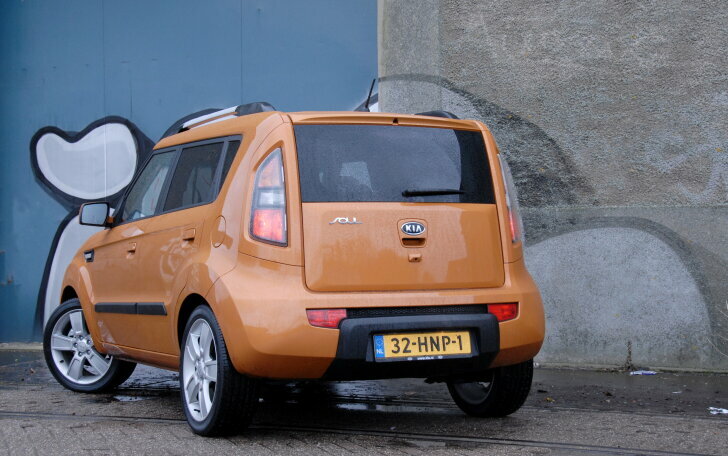 Is this Kia-with-a-soul the model Kia drivers have been searching for? Without a doubt! 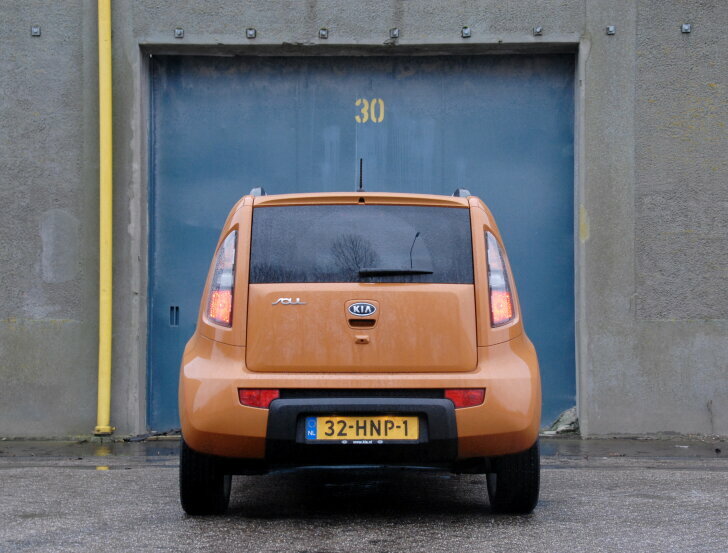 Other brands already successfully introduced hip new city cars and Kia joins that success. The Soul clearly is a modern car, because the engine and driving characterises are good or even better than that of the competition. However, the Soul feels more at home in the city than on the highway. The design is spot on. The Soul is a real eye catcher, but not over the top. It is tough, but not inappropriate. The gadgets are fun and because of the many options the car can be customised to meet everyone's taste. 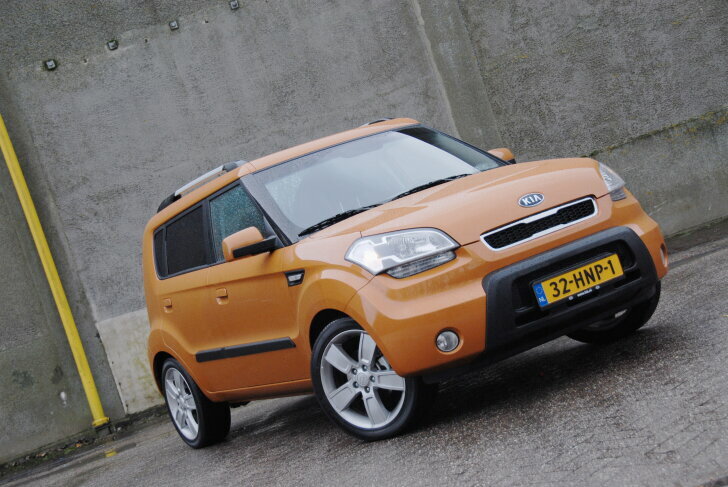 Of course the Soul is a real Kia, so the price is still pleasantly low.